De Palma Ampang hotel Kuala Lumpur provides quality 3 star hotel service and facilities in the Jalan Ampang area. Hotel guests can expect a great deal of friendly and professional ambiance throughout their stay in Malaysia. Shah Alam (population 356,066) is a city in Malaysia, about 25 km west of the country's capital, Kuala Lumpur. In 1978, it replaced Kuala Lumpur as the capital city of the state of Selangor due to Kuala Lumpur's incorporation into a Federal Territory. Lot 1121, Jalan Doktor, 15000 Kota Bharu, Kelantan, Malaysia. 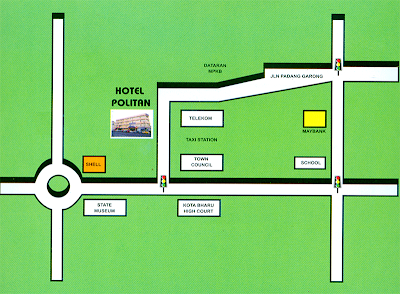 Map 31 - Peta lokasi Hotel Raudah Kota Bharu, Kelantan. 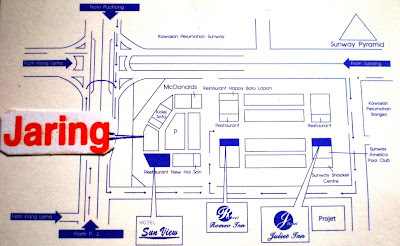 Peta lokasi Hotel Raudah Kota Bharu, Kelantan. 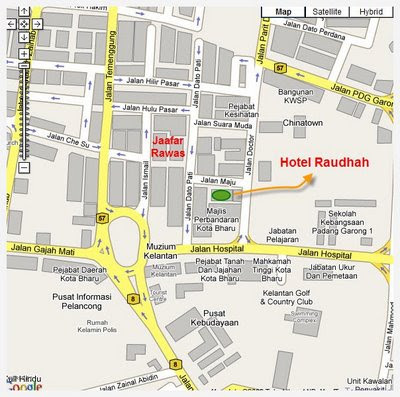 HOTEL RAUDAHJalan Maju, 15000 Kota Bharu, Kelantan. Centrally located in the Klang Valley metropolitan area - between Kuala Lumpur, the nation's capital, and Shah Alam industrial estate. 25 minutes by car from the new Kuala Limpur International Airport. Within walking distance to Sunway Pyramid and Sunway Lagoon. About 20 minutes driving down to KLCC ( Kuala Lumpur City Centre ).